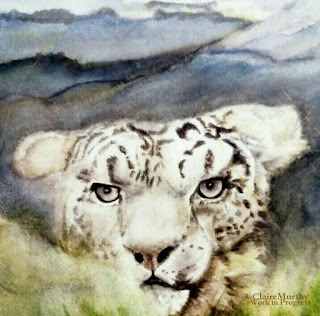 This watercolour painting of a snow leopard was an experiment which started out as a sketch based on some old photographs as reference material. Those old blurred photos might come in useful one day! 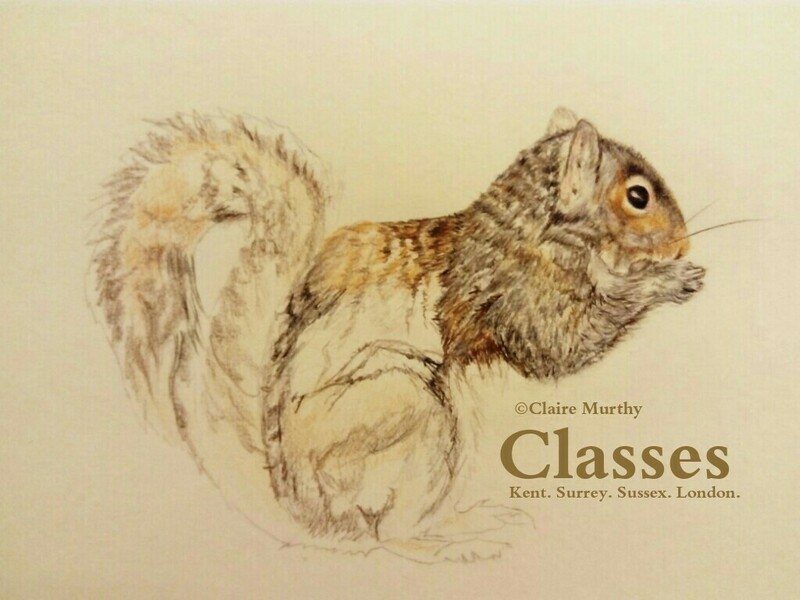 The wildlife reference photos lacked the detail required for a more realistic wildlife drawing but came in useful for a pencil sketch and watercolour composition. Drawings of two snow leopards were done first and a scrubland background of milder alpine terrain was added. Watercolours were used to bring colour to the painting but didn't work out as planned as the scenery appeared too warm for a snow leopard, even during summer. As Arches watercolour hot pressed 300g is a tough paper, the green and brown watercolour background could be entirely scraped out with a craft knife, as could some of the colour from the snow leopard itself. The distant rocky background was then painted, using watercolours, to replace the drier earth and shrubs. 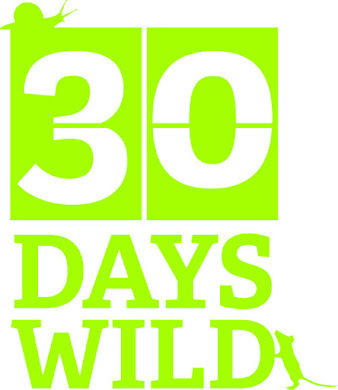 This gave the effect of a more natural setting of a colder, harsher terrain - more fitting of the snow leopard's survival characteristics and reputation as a tough, independent big wild cat out in the cold. Although they do venture into warmer landscapes during the warmer months, the application of colours in this painting made the snow leopard look more like a leopard in its colouring as the yellow and brown hues competed with the background colours. As detailed realism wasn't the aim, a certain amount of freedom of creativity was possible, even a complete change of scenery. 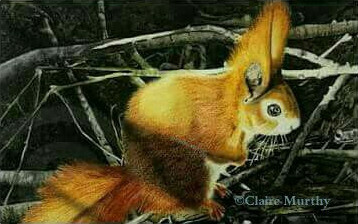 This painting is not yet finished - but as a watercolour sketch, the enjoyment was in the process of discovering how far watercolours and watercolour paper could be manipulated to achieve a desired effect. 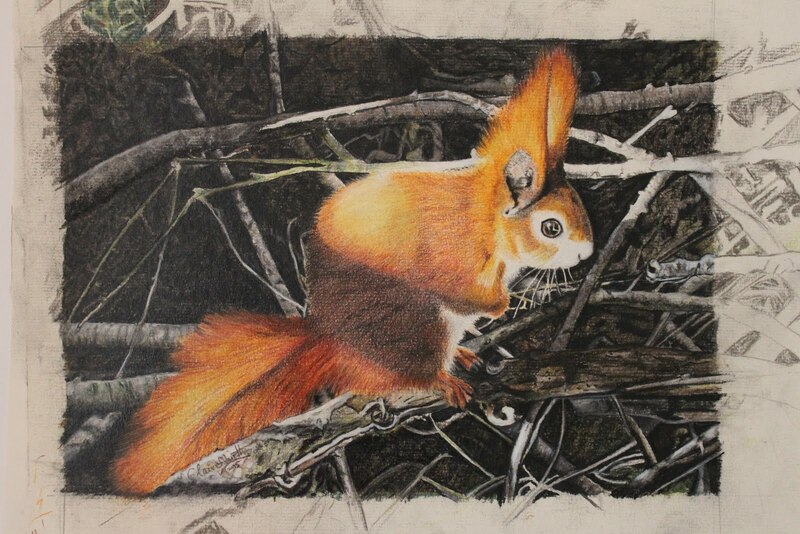 The choice of artist's paper and materials can support a more explorative approach to painting wildlife. Watercolours are often viewed as permanent once painted and dried - but watercolour corrections are possible. Instead of throwing away the first attempt (as it didn't work with the scrubland setting) other ideas became possible - there were no constraints of working to a fixed end-result. 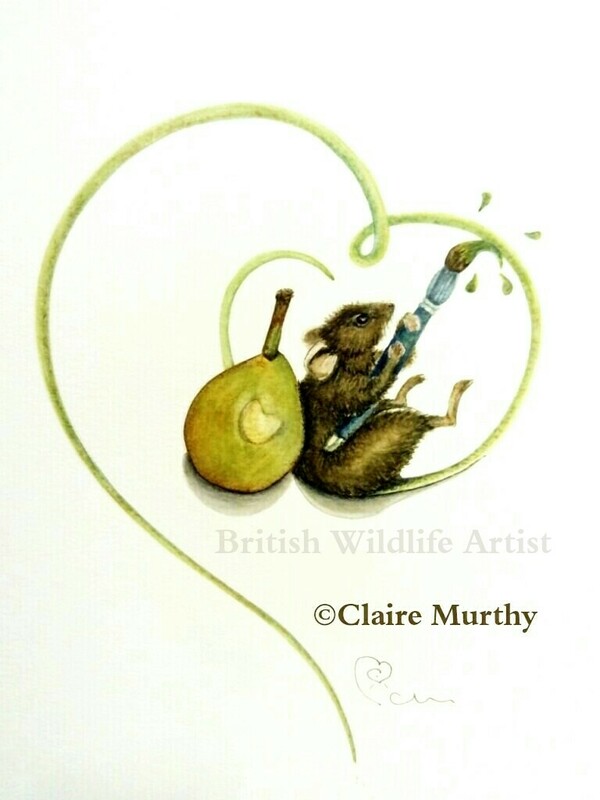 The image above is just part of the overall wildlife watercolour painting; it has an ethereal aspect to it that might be drawn into further watercolour paintings of wildlife in their natural environments. Coloured pencils for mixed media. This painting must be waiting for further work as it still hasn't yet found its way to the recycle bin. The sturdy paper would hold out for several applications of coloured pencils - so perhaps the snow leopard would get its whiskers after all.